We were recently invited aboard a 46-foot trawler and entrusted to design a complete, integrated navigation system. In last month’s Tech Talk article, we discussed the different options for this boater to consider and how to choose the best components for the way he uses his boat. This month we are going to look at what he chose and why. Our client is a year-round boater who tries to get out every weekend in the summer and, usually, takes two to four weeks of vacation on the boat. He is the main operator and, occasionally, boats by himself. He enjoys a diverse set of anchorages, including hot spots like Montague Harbour but also enjoys anchoring in more difficult bays like Conover Cove on Wallace Island. To avoid any interoperability issues he went with one manufacturer for the whole solution. Simrad provides a good balance between feature-rich and ease-of-use. Some of their displays can be operated via the touch-screen and/or button interface. As we always suggest to other boaters, touch-screen is convenient most of the time, but in rough seas it’s handy to be able to operate the display with buttons. 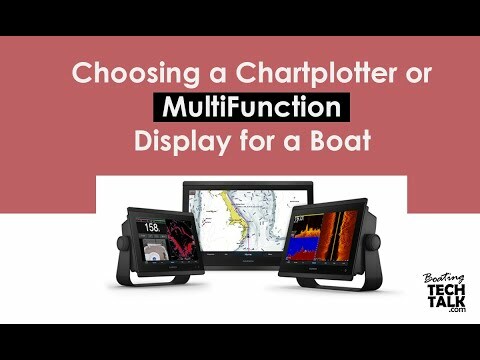 Multi-Function Display The client’s first big decision was to choose a multi-function display, he selected the Simrad NSS-16 Evo2 with a 16-inch screen for his main helm station. Luckily, this 16-inch display could be flush-mounted at the helm without too many modifications. For the lower helm, the client chose a Simrad NSS-12 Evo2 with a slightly smaller 12-inch display. The Simrad NSS-16 and NSS-12 MFDs have built-in GPS capability but we often recommend an external GPS. Since the vessel had a solid coach roof we installed a GPS on the top of the arch to get a clear view of the satellites. We turned off the internal GPS on the MFD, which now serves as a redundant backup, and connected the new GPS to the NMEA 2000 backbone. Weather Station The client also added a Maretron WSO-100 ultrasonic wind and weather station. This outdoor weather station measures apparent wind speed and direction but, when integrated with a GPS and compass, can provide the true wind speed and direction. Similarly we installed this using the NMEA 2000 backbone to allow for interconnectivity. 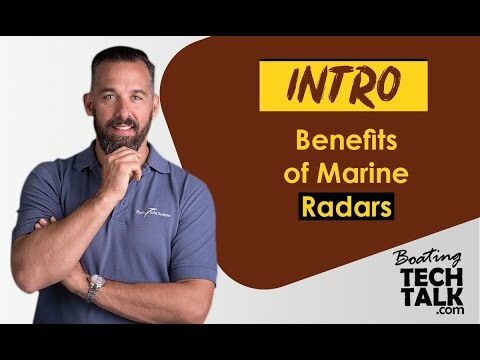 Radar The broadband radar, exclusively from Navico, with its great short-range capture, was one of the main reasons for selecting Simrad over other manufacturers. With only a few broadband models to choose from, our client chose the Simrad 4G broadband radar with a 24-inch dome. As we discussed last month this is not the best choice for offshore cruising but it is perfect for the client’s cruising area. Sounders Depth sounders have come a long way in recent years and our client took full advantage of this. We installed a Simrad Broadband CHIRP transducer for unsurpassed fish finding technology. This CHIRP sounder provides the traditional scrolling bottom view of the seabed. To get a better view of what is on either side of the vessel, a pair of Simrad Structure Scan transducers were installed. Due to the V-shape of the hull, we installed a Structure Scan transducer on the port and the starboard side. For navigating in technical, shallow waters or anchorages we installed a Simrad ForwardScan echo sounder transducer. This complete sounder setup offers the best “below water” visibility for any recreational boater. Autopilot For the autopilot, we installed a Simrad AP28 with a Simrad OP-10 pilot control for each helm. While many autopilots can be operated through a multi-function display, we highly recommend installing a dedicated control unit that allows you to easily disengage the autopilot in case of emergency. Some boaters like to use a remote autopilot to drive from the bow, in flat calm weather, on long stretches like Secret Cove to Powell River. Unfortunately, Simrad, unlike Raymarine, does not have a wireless remote but we have heard that it is in the works. 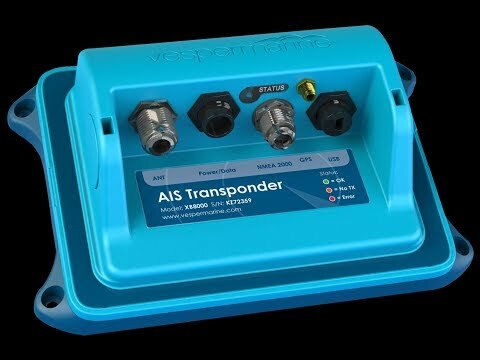 AIS For better vessel awareness, the client chose to integrate a Simrad NAIS-400 Class B transponder/receiver. 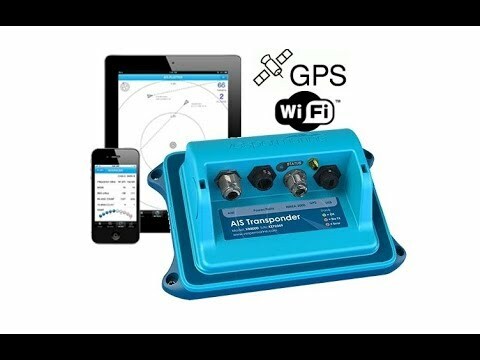 The receiver portion allows him to see other AIS transponding vessels directly on the Simrad displays. The transponder portion transmits the boat’s relevant navigation data and identification information to other vessels equipped with AIS receivers. Camera System One of the most exciting parts of this installation was the camera system. On occasion, the client cruises by himself and he wanted the ability to see around the boat from the flybridge. We installed a total of five different cameras but because the MFD only had two camera inputs, we added a video switcher that allows him to choose which view he would like on either MFD. Two Iris DND-60 cameras were installed aft, looking down at the port and starboard stern of the boat, allowing for close quarter docking when single-handing or a view of the crew as he approaches the dock. We used the same camera in the saloon, so he could see what his guests or grandkids where up to, as well as one in the engine room to quickly glance in the engine space in the case of an alarm. The Iris DND-60 is a surface mount, domed colour camera with built-in infrared illumination for low light conditions. Lastly, a wide-view aft-looking camera (commonly called fish-eye), was installed on top of the anchor light looking aft at the horizon to give a better perspective of the boats following him or how the tender is tracking when towed. Night Vision For better low-light navigation, our client also chose to integrate a FLIR M-625XP multi-sensor thermal night vision system. On a few occasions, the boat owner found himself arriving at his destination later then anticipated and wanted to reduce the associated risks of low-light navigation. This FLIR model allows for full pan, tilt and zoom capability. 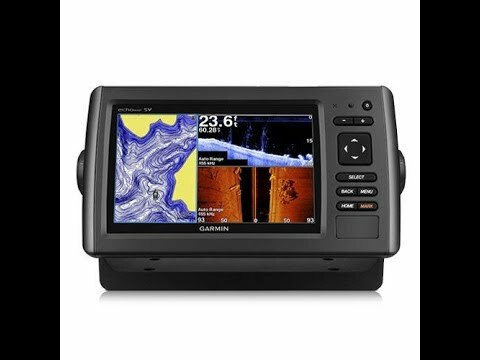 Conveniently, the image can be directly displayed on either Simrad display. Cost Now let’s take a look at the cost of a new navigation system. 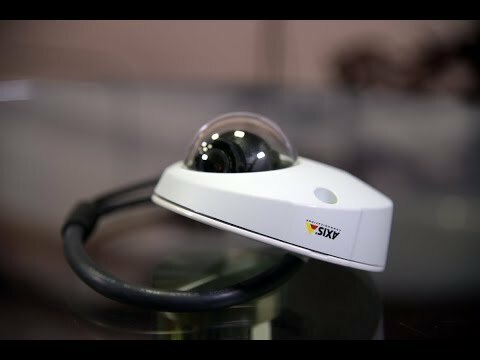 A complete system like this including a FLIR PTZ thermal imaging camera, two large MFDs, an autopilot, HD radar, five cameras, weather station, AIS transponder and variety of transducers will cost around $45,000 for the hardware alone. This specific job took over four weeks of specialized labour to complete. A comprehensive solution such as this, with few compromises, falls in the upper range of boats under 60 feet. At the other end of spectrum, we have installed a small radar with a single MFD on a number of 45-foot trawlers, in two to three days, for $3,500 to $5,000. Many boaters will find themselves somewhere closer to the lower side of the range. Since every boater is different there is no one size fits all. Take the time to educate yourself on the value of the items you are considering, especially since a navigation system is generally onboard for seven to 15 years. Designing a complete navigation system for your boat can be an over-whelming task. The most important thing to remember is to do your homework and get advice from knowledgeable manufacturer representatives and/or navigation systems specialists. 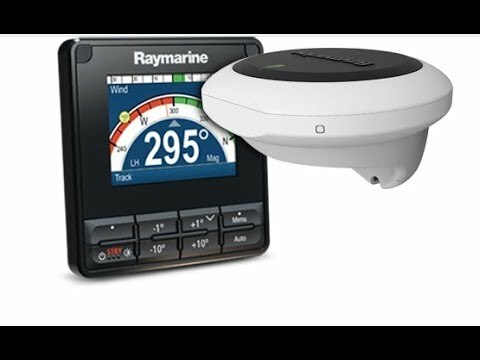 The display screens are larger, clearer and provide more interoperability, the new depth sounders include forward-looking and side-view transducers, the visibility offered through a combination of radar and night vision is providing a layer of comfort we have not experienced in the recreational boating market. It is an exciting time for boaters, the technology is allowing us to go to places we have not been in weather conditions we may never have considered. "With the new automatic battery system designed and…"